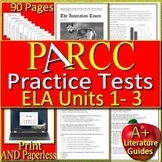 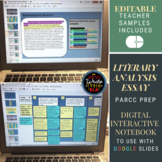 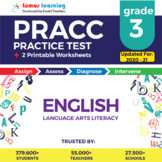 ELA PARCC PREP: a FIFTEEN DAY UNIT TO SEND STUDENTS' SCORES THROUGH THE ROOF! 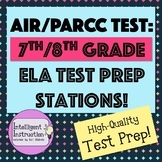 Get ready to hit it out of the PARCC! 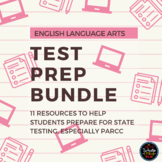 This NO-PREP product includes two informative articles with 6 part A and part B text-dependent questions, in addition to, a writing prompt! 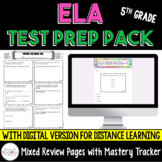 This great resource will help your students get ready for testing, all the while becoming great text evidence detectives! 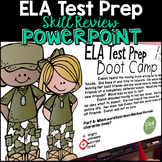 Two excerpts from Patricia Polacco stories with PARCC/MCAS style questions and essay response. 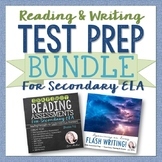 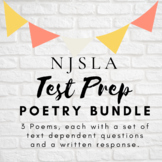 Questions include part A and part B, focusing on literature standards.Great test prep, independent, or guided practice.